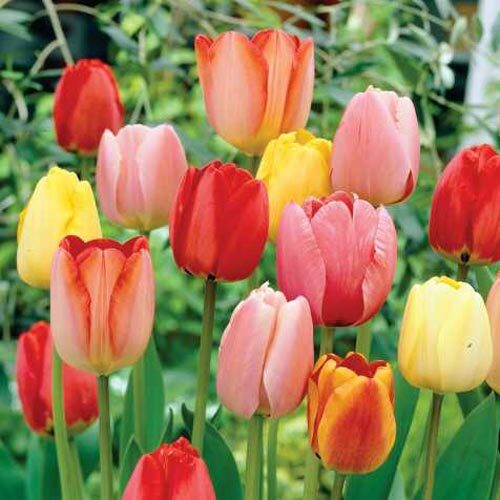 (Darwin Hybrid Tulips) An affordable way to plant lots of Tulips! A mix in a variety of reds, pinks, yellows and bicolors. 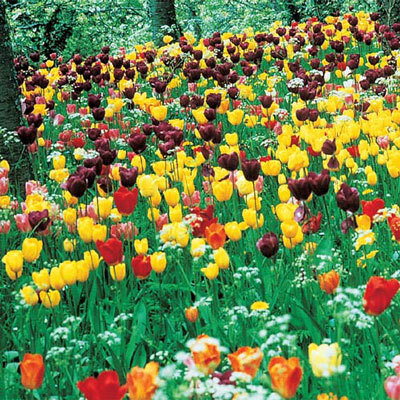 This class of Tulips flowers year after year!